Over the past 3 months, I’ve used Tableau quite often. I’m starting to like it more and more, but I do have some particular issues with the software and (after submitting a bug) with their service department. Overall, it’s a good piece of software but the thing I like most about it looks really slick. As a software developer turned business analyst, I’ve come to really appreciate software for more than just its functionality. Actually, when I was a developer and I had any influence in design decisions, I hope that I helped steer products to better usability and better appearance. I wasn’t always able to, but I like to think that I always fought the good fight. Anyways, I’ve attended Tableau seminars, watched the videos, read the articles, used the product for months, etc… My current evaluation would be that it’s not as intuitive as the company claims. 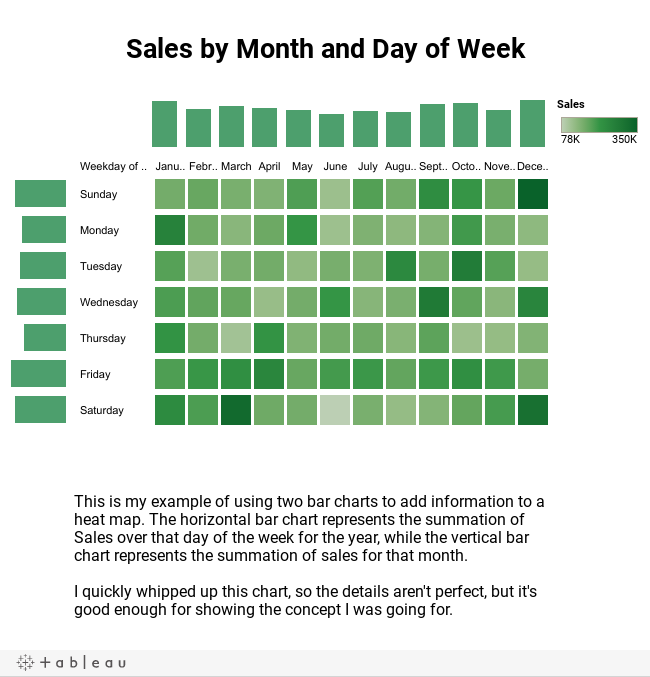 I’ve never been one to drink the Kool-Aid, but I LOVED Tableau when I first saw it, because it looks so damn nice. It was only when I was trying to generate my first non-trivial dashboards that some of its usability issues cropped up. It does so many difficult things so well, that you’d hope simple things would be a breeze. I still have a really hard time with putting objects where I want them to go. Tableau is not a WYSIWYG dashboard generator and that’s okay, but man those containers are frustrating as anything. Having said that, the fact that my biggest gripes with Tableau deal with formatting usability mean that it must really be good at what it does with data. But, I do take issue with the quote “Ease of use that gives you chills”. If by “Ease of use”, they mean that you can make some cool diagrams quickly, then fine… If by “Ease of use”, they mean getting exactly what you want out of it easily, then I’d say that’s off base. And this is coming from me, and by most definitions, I am a power user and spend most of my days dealing with ridiculously (read: unnecessarily) complex software. To date, this was the first and only bug that I’ve submitted to Tableau. I didn’t mind the bug, nor did I mind the response from Tableau, but I found it hilarious enough that I need to share it. The bug itself deals with exporting images of, or printing PDFs of, a dashboard containing a page filter used for animations. The filter either disappears or comes off as text characters. Weird, annoying, but not a huge problem (i.e. easy workarounds). I have reproduced these unexpected artifacts using Tableau Desktop 7.0.8. Additionally I have notified our product management team of this unexpected behavior and they will look into it. At this time I cannot comment on whether or not the issue will be fixed in a future release. Given the information above, I am going to move this case to a closed status. What? Summarily closing a case without even a partial resolution? That’s insane/brilliant! Being involved with a services department now, I kind of wish we could do the same, so I am a little jealous. In any event, I emailed back informing him that I did not want the case closed until I heard from product management about whether the behaviour will be fixed eventually. It’s still an annoyance for me, and means that I need to edit my dashboards if I want to export them, which is lame. More importantly though is the principle. If you pay lots of money for software, you want it to at least look like someone cares about issues you’ve found in their product that impact your workflow. While Tableau comes loaded with some pretty sweet charts by default, I would love some sort of plug-in model, where I can use existing charts to generate a whole new one. Or, barring that, some way to combine multiple charts on one worksheet, so I don’t have to spend a lot of time fiddling with that layout mechanism that gives me so much grief. At some point, I decided to see if there was a deeper relationship between my measure and two factors: days of the week and time of day. For this, I decided to use the trusty heat map. I like heat maps, but at-a-glance (ie. without clicking), they just don’t elicit enough information for me, and I find I need to use them combined with other chart types. So, for my recent project, I tried combining two bar charts with a heat map to see what I could get out of it. I won’t claim to have come up with some new way of visualizing data, and if I knew if/where I had seen this before, I would give credit right away. I like this one because not only do I get that heat map that I so like, but I also get a ‘free’ aggregation with it that lets me see even more data without clicks. It would be cool if Tableau offered an option on heat maps to show bar charts aggregating the horizontal and vertical data, as that would save me a huge pain while formatting. If anyone has any suggestions for an easy way to create this kind of chart, or ways to improve it, I’m open to them!